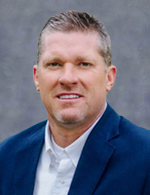 Born and raised in Texas, Jason Leavelle earned a Bachelor’s degree from Abilene Christian University and was introduced to corporate aviation shortly after. Now with 20 years in aviation, Jason has sold over 400 corporate aircraft and continues consulting for clients all over the world. As COO of CFSJets, Jason is also a Partner of Jet Linx San Antonio, the local chapter of the third-largest Argus-rated charter company in the US. When not running a business, you can find Jason on the golf course, at a long-range competitive rifle shoot, or traveling somewhere new with his family..